Instead, apply a generous layer to all exposed areas of skin at least 10-15 minutes before going outside and allow it time to adhere to the skin where it will become almost invisible. Reapply at least every 2 hours. I love this product and is the only one I will use. Non-greasy and no heaviness particularly when I use it on my face. I recently availed benefit of Buy 2 Get 3rd Free offer by Oasis. So I got 3 travel sized SPF 30 Sunscreen as we were going on a road trip. 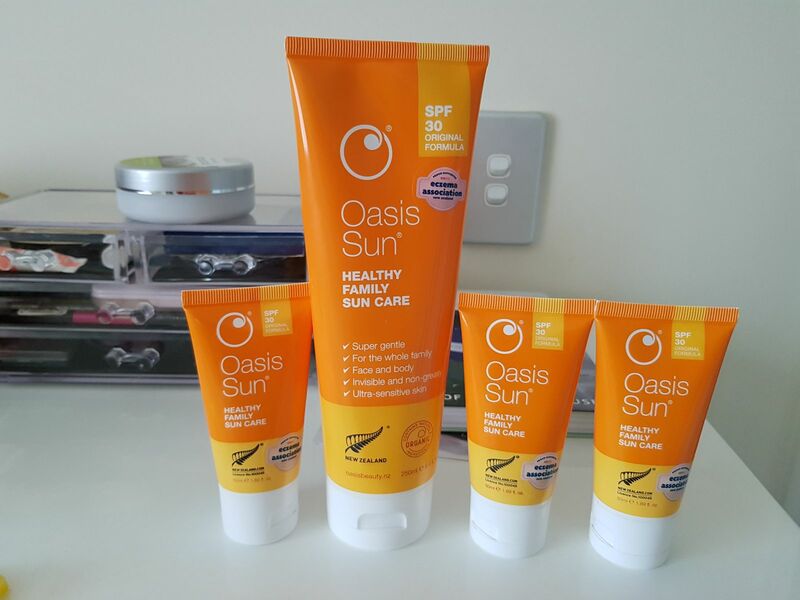 I already have a bigger sized tube at home but small size is very ideal for travel so I kept one tube in each of my kids bag and my own bag so that we don't forget to apply during the sunny days. It feels really amazing to apply this sunscreen as it does not make our skin sticky or oily. Thanks Oasis Beauty. I love, love, love this product. Gentle on the skin, doesn’t stain clothes and works well... what more could you ask for? Easy to apply. Doesn’t feel greasy. Feel so confident using this sunscreen on little ones. Smells great and works well.